The BOM Alternates enhancement provides the ability to automatically use Alternate Items when there is a shortage of the Primary Item. 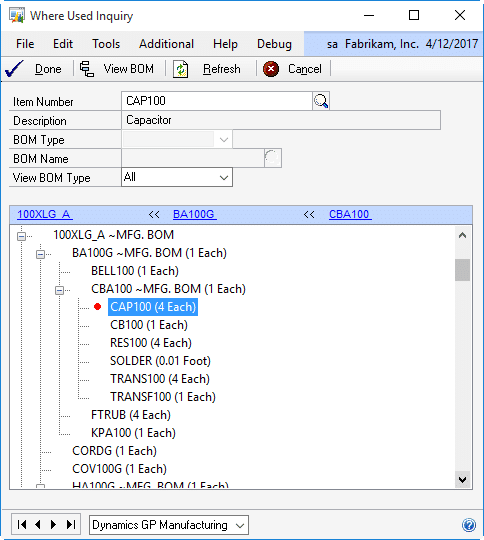 The Pre-Assign Serial/Lot Numbers module in MFG PowerPack automatically pre-assigns serial/lot numbers when a manufacturing order is created. Reverse Issue Date Override changes the date on which inventory is re-added to the system when posting a Reverse Issue Transaction. Proposed Cost Update automates setting a new Standard Cost for Buy Items. Proposed Cost Update provides several methods for calculating a new Standard Cost for a range of Items or Item Classes. 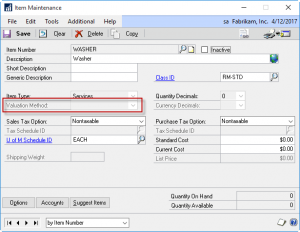 Outsourced Purchase Order Enhancements (OPOE) modify the Outsourced Purchase Order so that the Description, Quantity Ordered and Cost provide more meaningful information to the Vendor, rather than reflecting “internal” information from the manufacturing routing. MO Split breaks a Manufacturing Order for a large quantity into any number of MOs of smaller quantity. MO Split divides one large order into smaller orders that fit better with work center capacity. MO Document Types provides the ability to have unlimited Manufacturing Order document numbering sequences maintained by Dynamics GP. MO Document Types enables creating a Document Type (such as “PROTO” for prototype manufacturing orders) and a Document Number (such as “PROT0001”). Item Valuation Update sets the Valuation Method of non-Sales Inventory type items so they can be used on the GP Bill of Materials for a Standard Cost item. Commodity Surcharge tracks the spot price of commodities, and adds surcharges during invoicing to cover the difference in the spot price between the date on which a price was quoted and the date of invoicing. 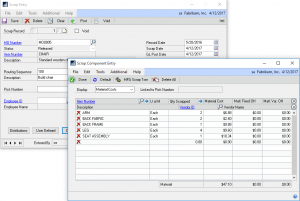 Preactor Integration is a flexible integration utility which connects Preactor’s finite manufacturing scheduling software to Dynamics GP Manufacturing. MO Generator provides integration utilities for building systems which connect Dynamics GP Manufacturing to external applications. MO Generator Core: provides a set of utilities for creating MOs, creating sub-assembly MOs, and rescheduling MOs. 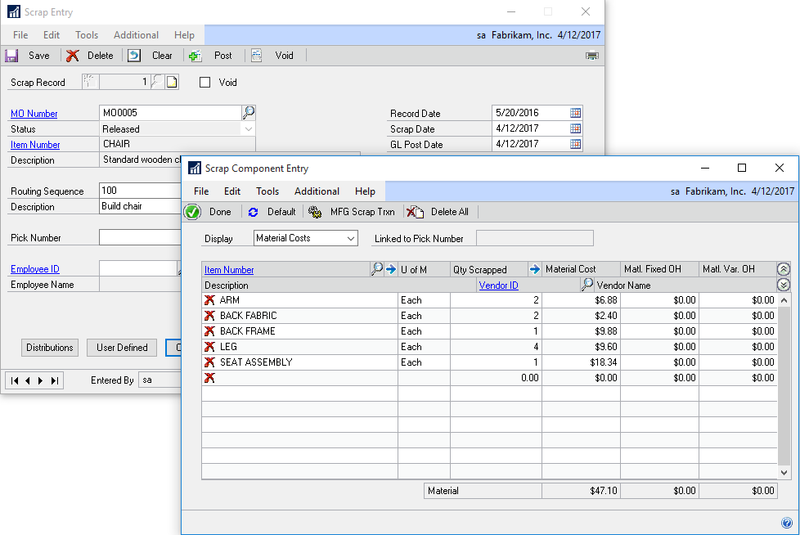 MFG Import for Dynamics GP Manufacturing contains integration utilities for Bills of Material and Routings. The utilities are designed to make it easy to perform regular imports and updates from an external file (Excel).